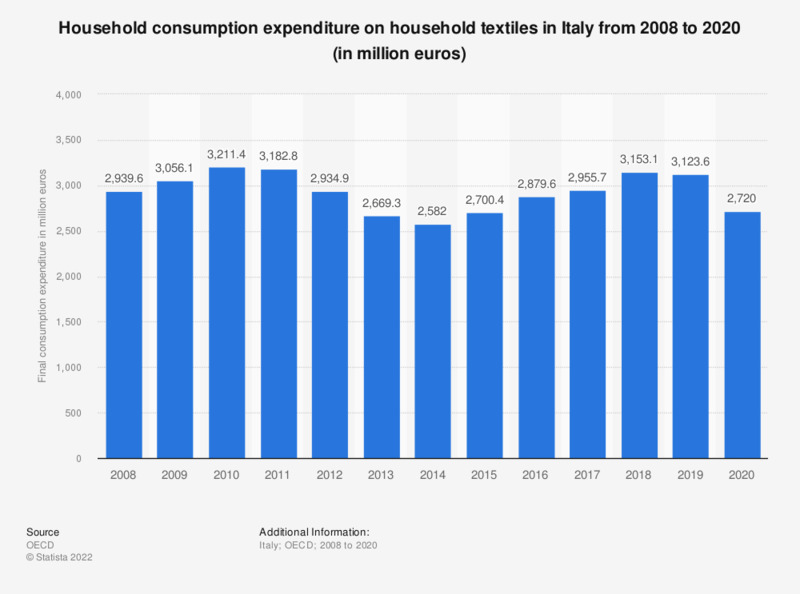 This statistic shows the final consumption expenditure for households in Italy with regards to household textiles, as annual figures from 2008 to 2017. Over the time period observed, the year with the highest expenditure was 2010, when approximately 3.17 billion euros were spent on household textiles. Since then, spending has decreased to 2.83 billion in 2017.